My blog post yesterday was my most viewed blog post to date, with over 1,000 page views yesterday alone. It really was a case of lucky timing and a bit of work as well. On Tuesday I had a day off work and was wandering around Galway. 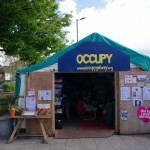 I was strolling through Eyre Square, decided to visit the Occupy Galway camp and document it through photographs. 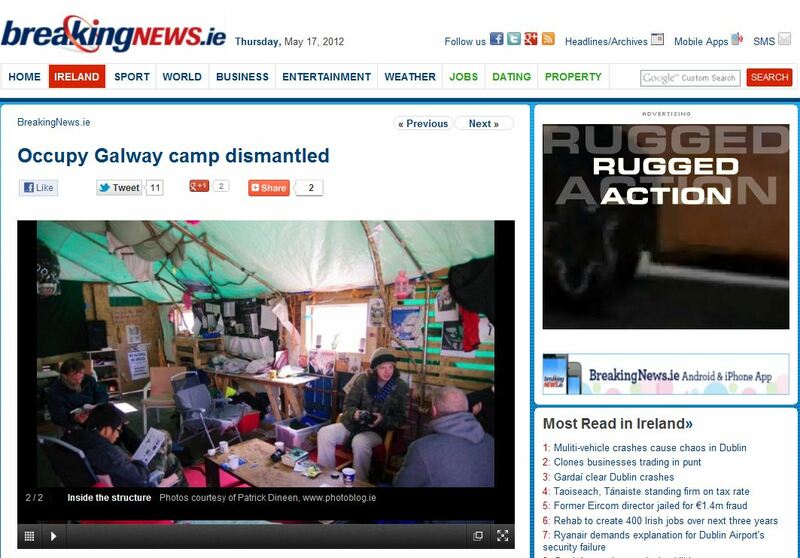 Little did I know that the gardaí would raid/’dismantle’ the camp that very night. 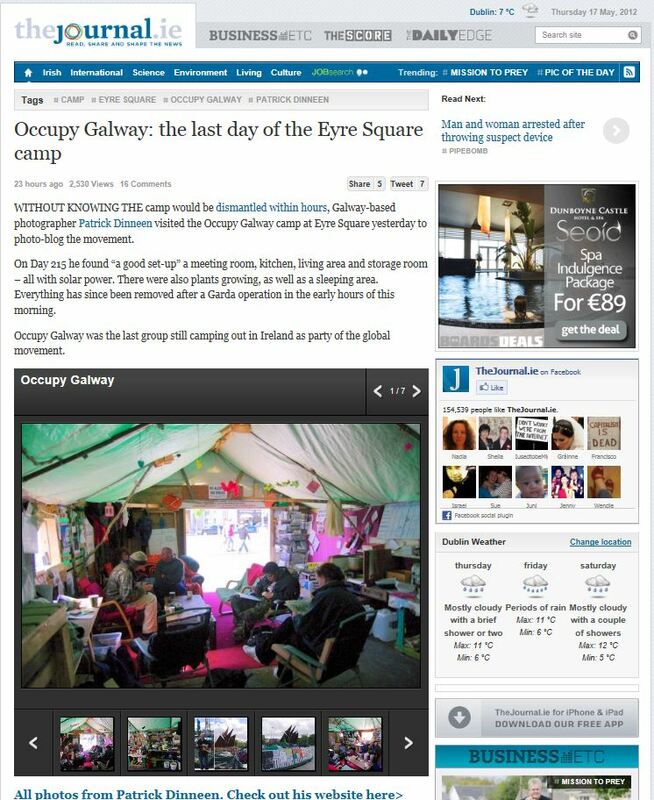 I was also lucky that I posted the photos here the same evening, if I had left it for a day or two the Occupy Galway camp would have been yesterdays news. When I found out the next morning that the camp had been dismantled I tweeted my photographs & also tweeted several media organisations saying that I had possibly the last photographs of the camp. 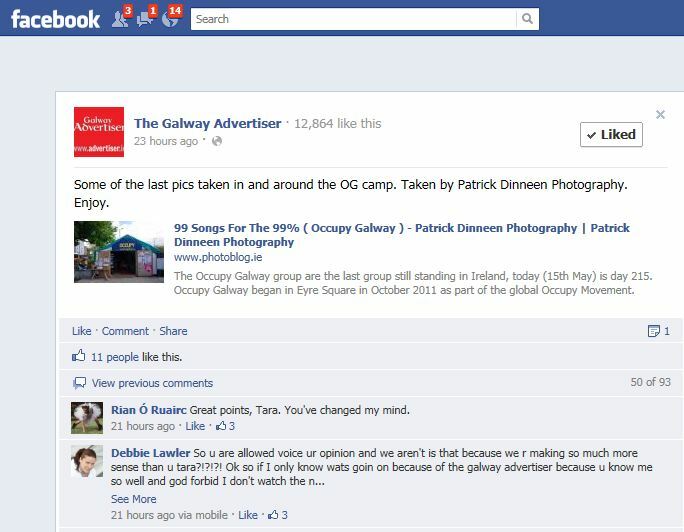 Several replied asking if they could use my photographs and many people retweeted my tweet of the photographs. 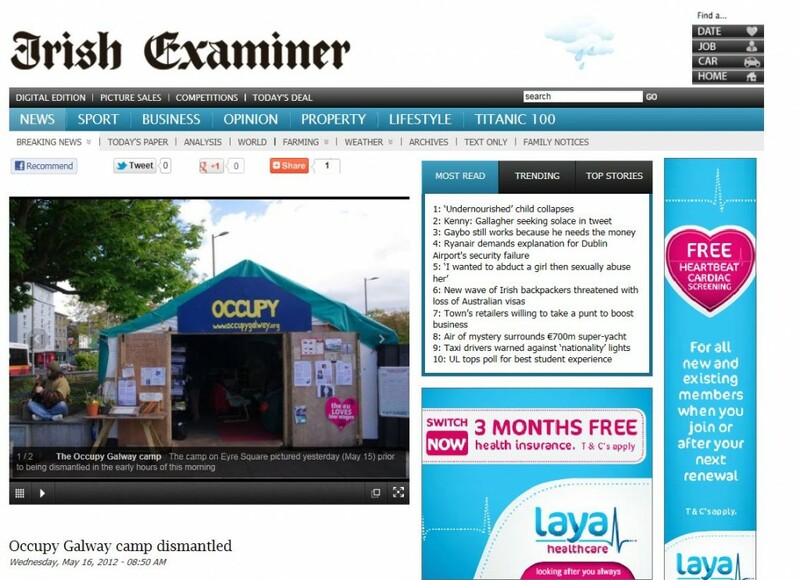 My photographs were used by The Irish Examiner (online), Breakingnews.ie, Thejournal.ie, The Galway Advertiser.ie Facebook page and more. I was even trending on Twitter(!). 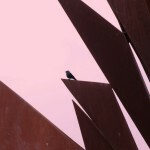 Post title are lyrics taken from the song ’15 minutes’ by the band Sheep On Drugs (great band name).